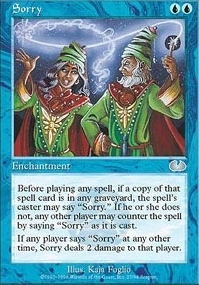 Charm School ($0.24) Price History from major stores - Unglued - MTGPrice.com Values for Ebay, Amazon and hobby stores! 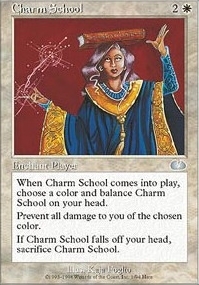 Card Text: When Charm School comes into play, choose a color and balance Charm School on your head. 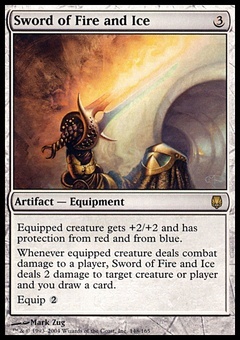 Prevent all damage to you of the chosen color. If Charm School falls off your head, sacrifice Charm School.